9/19/2010 – You probably learned the rule of the square very early in your chess career. It defines when a king can catch an enemy pawn and is of extreme practical use – if you understand the concept and its consequences. Some important didactic work in this field was done by the world-class player and study composer Richard Reti, as Lubomir Kavalek shows us in his latest Huffington Post column. A chessboard is a square, divided into 64 black and white squares. But there are more squares in chess, mostly invisible, as part of an amazing chess geometry hidden in chess players' minds. 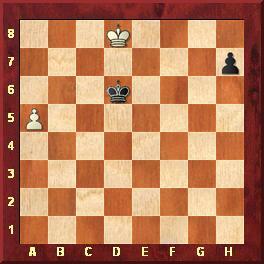 One classic square is often used in pawn endgames when a king is chasing the enemy's passed pawn. The king doesn't have to walk in horizontal or vertical lines, he can run diagonally or zig-zag across the field. But he needs to be close enough to catch the pawn. How close? The king has to walk into a square whose one side is defined as the distance between the pawn and its promoting square at the edge of the board. We can use a famous study by Richard Reti as an example. The world-class player, creative chess composer and prolific writer published his amazing work in Ostrauer Morgenzeitung on December 4, 1921. 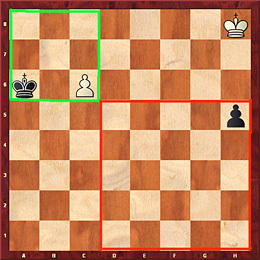 While the black king is in the (green) square and can snap up the white c-pawn anytime, the white king is out of the (red) square, unable to catch the black h-pawn. Reti makes the study work, blending both green and red squares into a beautiful solution. Can you find how white draws? Other composers tried to expand on Reti's maneuver. Ladislav Prokes juggles the squares differently. The black pawn is far out of reach, but the white king, momentarily pinned to the edge of the board, finds a miraculous way to stop it. Henri Rinck composed his version in 1922 and published it in the Revue Suisse d'Echecs in Basel. He also worked with squares, but added a line-geometry, the skewer, into the solution. The solution to the puzzles will appear next week. The Huffington Post is an American news website and aggregated blog founded by Arianna Huffington and others, featuring various news sources and columnists. The site was launched on May 9, 2005, as a commentary outlet and liberal/progressive alternative to conservative news websites. It offers coverage of politics, media, business, entertainment, living, style, the green movement, world news, and comedy. It is a top destination for news, blogs, and original content. The Huffington Post has an active community, with over one million comments made on the site each month. According to Nielsen NetRatings, the site has around 13 million unique visitors per month (number for March 2010); according to Google Analytics the number is 22 million uniques per month. 6/5/2018 – Richard Reti was a very original player who brought us interesting ideas in the openings, as well as beautiful endgame studies. Reviewer DAVIDE NASTASIO explores Victor Bologan's video series, as Bologan explores the different transpositions the Reti (1.Nf3) can lead us to. 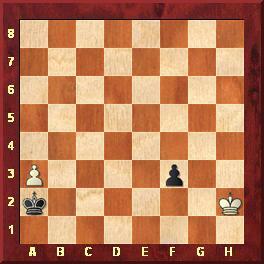 The goal is to make our opponents play chess from the word 'go', and side-step their theoretical opening preparation.